Our Lady of the Snows Youth are flocking friends around town to raise money to go to camp! “What is flocking?” you might ask. 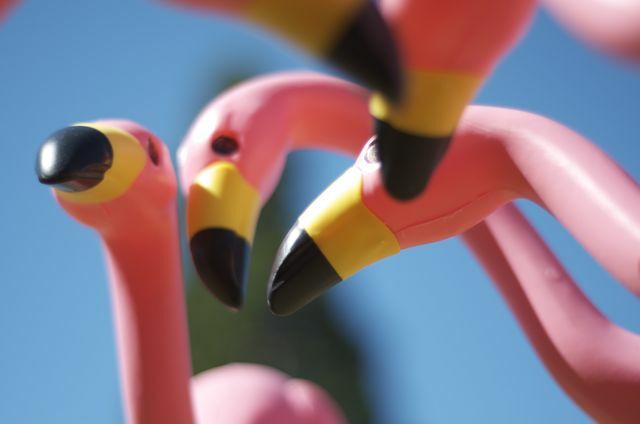 Well we’ve been putting a “flock” or group of lawn flamingos in people’s front yards with a note telling them about our fundraiser. The next day we pick up the flamingo and the envelope and take the flamingos to the next house. The people who have been flocked usually make a donation and give us an address to send the next flock to! It’s great fun, and we appreciate all those who have contributed to the funds and fun!!!! Because of people’s generosity and sense of humor kids are able to experience one of the best weeks of their lives!!!! Thank you!!!! This entry was posted in blog and tagged Camp, flamingos, flocked, LifeHouse, Summer, summer camp, Thank you. Bookmark the permalink.